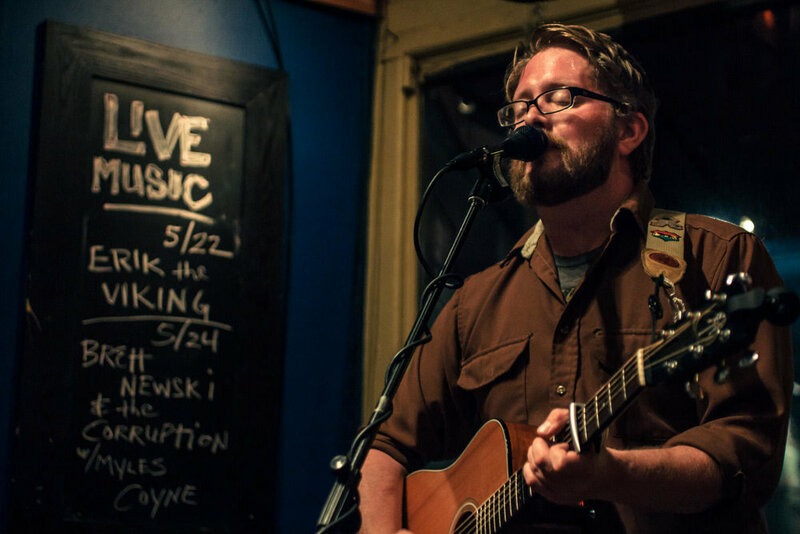 Local crooner Erik Oftedahl is releasing his first full length album, Places, on September 28 with a CD release show at the Blue Door. Oftedahl has previously released two Eps; Dead Horses in 2011 and Painting in the Dark in 2016. He's been playing all around the state, the nation and the world the last few years, so he's no newcomer to the scene. Even though he hails from Minnesota, he has been an Okie long enough that he considers it home. Places was co-produced by Oftedahl, Chris Bell and Jason Scott in a few different studios around Oklahoma. 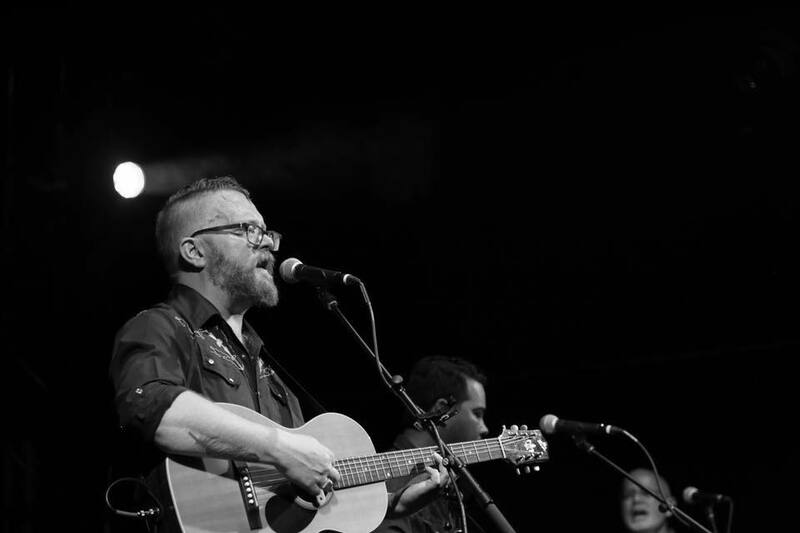 It features Bell on bass, Scott on vocals and mandolin, James Purdy on drums, Ryan McCall on guitar, Scott Hunt on fiddle, John Calvin Abney on keys and Carter Sampson on vocals. Each of these players are exceptional musicians in their own right, so when they come together in this collaboration there is definitely some musical magic going on (and you’ll notice most of the BC and the Big Rig band is represented here). I caught up with Oftedahl to talk a little bit about the album and how it came to be. “It all started actually when Purdy hit me up. We did a pretty rough EP that I recorded with my friends, but I posted a song of one of the tracks and Purdy heard it and called me immediately and said “Hey Man, the Big Rig doesn't have a lot going on this winter, do you want to get in the lab and see what we can make?” So it started as like a weird project,” explained Oftedahl. This all went down about 2 years ago. The first day they got into the studio they cranked out 3 tracks fairly quickly. When they sat down to listen to them they realized it was damn good and decided they just might need to take this little project a little more seriously. It took a few months before they were able to get back together again and they recorded 5 more. “We just worked really well together, we were clipping through it really fast. Listening to those we thought they were really good and thought we should do more with this. This whole thing that we thought was going to be a record turned out to be a demo, and I was like okay well let's redo the whole thing. So we set up a couple of days in May a little over a year ago, it's been a long process,” said Oftedahl. Oftedahl and his Queen of Oklahoma, Carter Sampson are on the road touring so much, and the BC and the Big Rig band stay pretty busy as well, so it was a matter of coordinating schedules in order to get it all done. Oftedahl partnered up with Horton Records to get the album out, but decided to wait a while and to do it right. They decided a September release was the way to go. When asked what his strangest inspiration for a song has come from, Oftedahl doesn't disappoint with a funny and interesting story about writing to the voices in his head. Oftedahl says that he was super stoked to have everyone that was able to be on the album. He says he just got lucky to have it all line up right and fall into place. In fact he says that the entire album came into existence because of synchronicity, everything just lining up at the right time without even trying. Oftedahl says that now with making this first album under his belt, he's itching to get back to it and make more. He's also looking forward to getting out there with the full band and playing shows to highlight this album, and he has several lined up. Not only can you catch him at the Blue Door on the 28th, on October 12 there will be a CD release in Tulsa at the Colony as well. Oftedahl plays a once a month Iron Monk gig in Stillwater, on October 13th he will be there with Scott Hunt and Ryan Dorman. You can plug into Oftedahl's website at www.erikoftedahl.com to stay on top of show information as well. I got the chance to preview the album and write up the review. It features 10 songs, and it does offer a lot of variety in sounds and styles, which I found engaging. The album opens with 'Prayer for the Damned' which was co-written by Sarah Elmquist Squires. The song has a great opening drum beat that stays consistent throughout the whole thing. Oftedahl's soft and sleepy voice sets the tone perfectly for this song. Sampson's and Scott's harmonies bring another set of magic to the whole thing. It'll have you tapping your feet and bobbing your head right along with it in no time. The lyrics are thought provoking and laced with emotion, places we've all been at one point or another. The keys round it out and add an almost quirky vibe to it overall. The guitar solo adds a great bluesy tone, adding some grit to the whole mix. Track 2 is 'Dead Horses' which opens up with a honky tonking sound. Again Oftedahl's vocals are smooth as honey and filled with soul. It's a heartbreak song about leaving, and the music has a hidden element of melancholy tied into it while still maintaining a rather upbeat rhythm. The guitar adds some tasty licks to the whole mix and the keys give it an almost haunting quality. It's a nice mix of blues, soul and honky tonk all rolled into one. 'Trying to Live' opens nice and smooth, nothing over the top, just relaxed and steady. It's got a bit of a soft rock sound, while maintaining Oftedahl's soulful tone. “Been killing myself, trying to live”, I think we've all felt that way before. The lyrics, raw and real, are part longing for something more and part hope for a better day. It's got a funky guitar solo that adds some real depth to the instrumentals, Again those keys just give it an upscale level of class at the same time. 'Self Medication' brings a bit bolder and deeper voice for Oftedahl, paired beautifully with Sampson's sweet harmonies. There's a mandolin and fiddle in the mix, which is fantastically done. The beat is steady and makes you want to move and groove. It's almost a story telling tune that takes you through some of the people that came through life and the lessons they taught.“Tried to be a bigger man but sometimes growing pains they hurt, Sometimes nothings going to work”, ain't that the damn truth. 'Nebraska' is the middle ground of the album at track number 5. The drums open with an almost quiet force which draws attention immediately. They settled into a softer rhythm as Oftedahl's voice comes in strong and full of sentiment. You can definitely feel the emotions of the lyrics just in the way he carries the notes and pulls them this way and that. The keys are just beautiful. While it has a melancholy feel to the whole thing overall, it also has this silver lining of loving the life that you have right now, which is so well done here. It takes talent to wrap up those complex emotions into one package, but it's such a part of the human condition, being able to feel so many things at once. I like the way it comes full circle by ending on the same commanding drumming that opened the tune, as if symbolism that all things come full circle. 'Sinking Ship' straight up starts funky and grooving with a heavy hand. Oftedahl comes in with a full bodied, powerful voice that he clearly knows how to use. The vocals are full of attitude and grit, which matched with the funky music, it’s all just dripping with some good ol' angsty rocking soul. The guitar solos are face melting for sure, getting it down and dirty. Both the lyrics and the music are impassioned and expressive in such a grooving way, I'll bet you can't stay still during this song. 'Places' is upbeat and just slightly rocking, tinged with a bit of that red dirt Oklahoma charm. Sampson adds her harmonies to this pleasant and easy going song. The layers of instrumentals are perfect and add a great balance to the whole thing, it even has some almost whimsical keys that make it even a bit more playful. It's a feel good love song. 'Mercy' is probably my favorite on the album. It just starts rocking right away, and it's got a bit of down and dirty attitude in both the vocals and music in an almost seductive way. It's a bit of a jam song, filled with funk, soul and rock. Those guitar solos just blow me away, they are So. Damn. Good. They are just raw and gritty. The beat is infectious and you'll find your whole body itching to groove through it. “We all have some things we wanna forget”, word. 'The Farmer' has the hauntingly beautiful sounds of the fiddle opening it up, leading you down a path that you know is going to be filled with emotion because it just pulls at your heart way before the lyrics even start. Oftedalh doesn't disappoint when he comes in with his strong and powerful voice, expressive and skilled at making both the words and tone rise and fall, stretch out and slow down in all the right places. It's leisurely paced and layered with contrasting and complimenting instrumentals that add depth and flavor. Of course it has the intoxicating guitar that transports it to a whole new level as well. The album ends on 'Ten and Two', which kicks off with a fun drum beat that just takes off running. The song is a little funky and a little rocking, it ends the album quite nicely. It makes you want to get up and move. The lyrics take you through a story of being a musician on the road and the life that it brings. Sampson adds her voice in the background, just barely there, which makes it even stand out more in a unique way. McCall tears is up on the guitar once again, and the song gets into a bit of stop and start, of push and pull for a few moments that just mixes it up and adds some interesting dynamics. All in all, while the songs all deliver something a little different in each one, it still manages to have a cohesive feel to it as well. Every player on this album just knocks it out of the park, which makes the collaboration phenomenal. I really enjoyed it and would highly recommend getting your hands on a copy on the 28th!